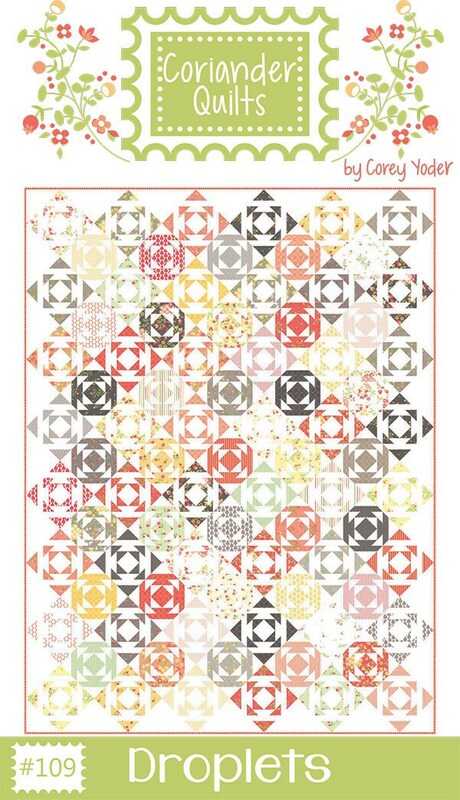 Finished Quilt Size: 51" x 68"
Droplets is made up of two adorable 6" blocks set on point. 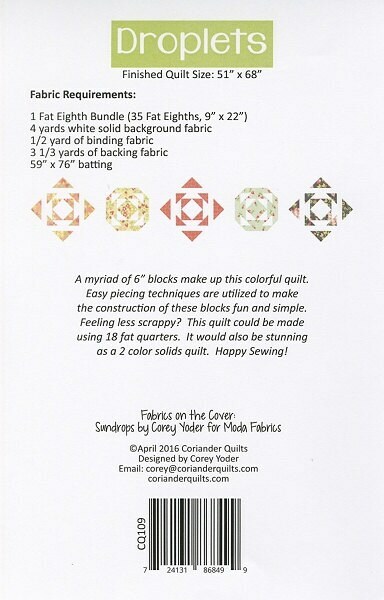 This quilt uses 35 fat eighths--so choose your favorite scrappy mix. Fabrics used are Sundrops by Corey Yoder for Moda Fabrics.